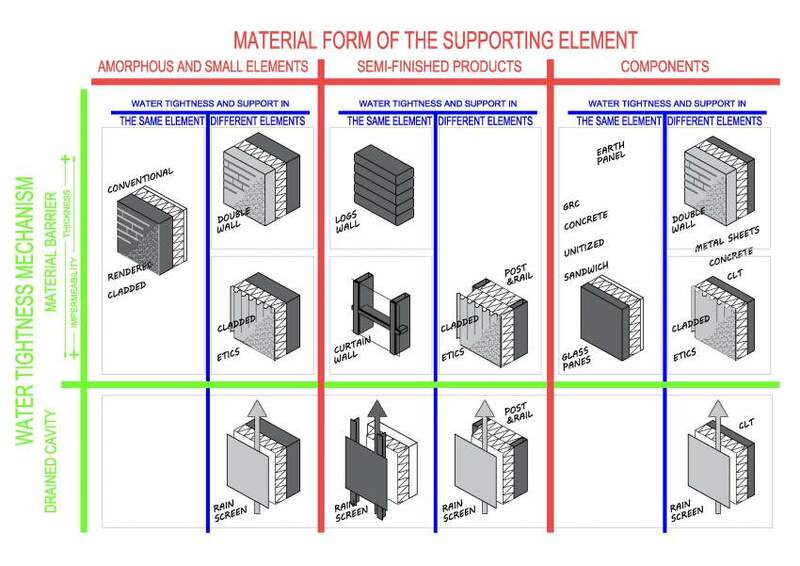 Support element made either with small elements or amorphous material and fulfilling water tightness due to the thickness and relative water tightness of the supporting element (generally exposed brickwork or concrete); or through the addition of an absolutely watertight finishing, normally a thin layer of material (rendering). Support element formed by a post and rail structure that achieves water tightness from the characteristics of the cladding material and the sealing of its joints by means of the mechanisms incorporated in the profiles of the post and rail structure (stick system). Support element formed by lineal semi-finished products –traditionally logs-stacked in horizontal position and fulfilling water tightness due to the thickness and relative water tightness of the material. Support element formed by a two-dimensional component that, after fitting, closes the facade and defines its outer image. Depending on the degree of complexity of the panel, especially with regard to the design of the joints and the sealing mechanisms, we can distinguish different types. Support element made either with small elements, amorphous material, semi finished products, or components; and fulfilling water tightness due to a second wall placed at a distance from the previous. The gap between them is usually filled with a thermal insulation. Water tightness is achieved by placing a barrier of water tight semi-finished products with overlapped joints over the support element on its external side. The entity of this new layer makes us distinguish it from a simple finishing. 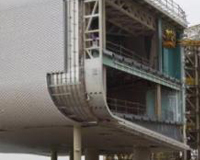 Water tightness is achieved by placing a thin waterproof barrier over a continuous thermal insulation fixed to the support element on its external side. 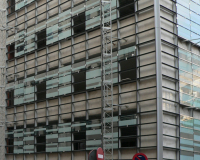 Both solutions include facades with a heavy support element and facades with a light support element. Water tightness is achieved by means of a drained cavity created by placing an open-joint cladding at a distance from the support element on its external side. 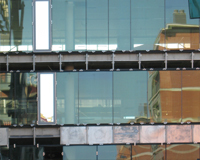 This solution encompasses all façade solutions that incorporate a cavity, whatever is the support element made of.